It happened. I found an Essie nail polish which I haven't fallen ridiculously in love with. Yes. You did read that first line correctly. This is coming from the girl who has an entire Alex drawer full of Essie nail polishes, they never let me down. Ever. I really wanted to love 'Chillato', I did. 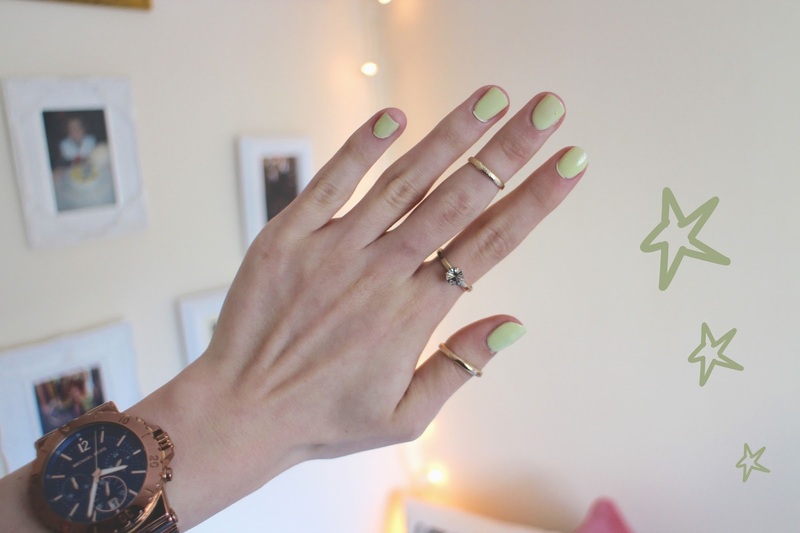 It's the most perfect pastel lime (Essie describe it as 'pistachio', I disagree) and I knew I had to have it once I saw the Summer 2015 collection but aghh it's awful. In the bottle it looks fantastic, like it'll be a gloopy opaque application along the lines of Essies ever so popular 'Mint Candy Apple', but from bottle to application it just falls short. In order to get any sort of color build up, I needed to apply four coats and even then, it still looked pretty streaky and didn't have any nice sort of gloss finish to it. It just looked pretty lifeless. Not impressed with the application, I decided to break some rules and wear it to work to see how well it would hold up during my daily cinema duties. Other nail polishes have survived quite well. 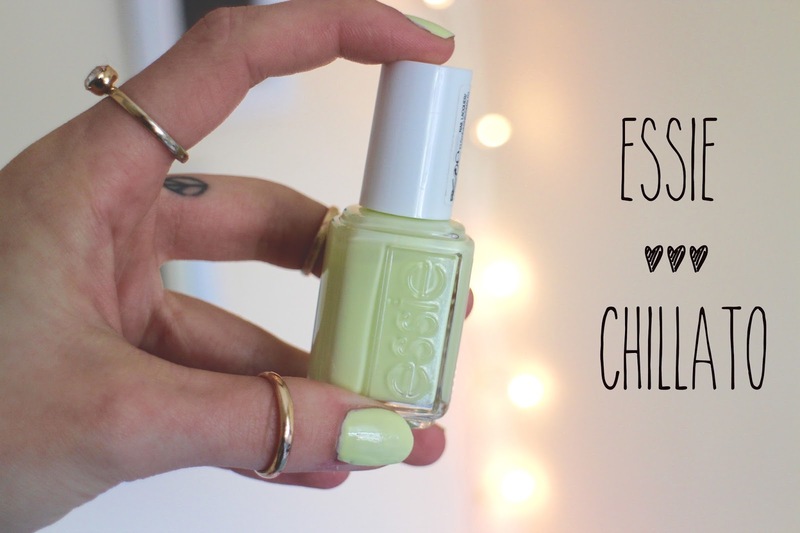 Essie 'Chillato' wasn't very chill and chipped less than an hour in. I'd had enough and after little effort, pulled it all off. Not what you want when you're spending nearly 10€ on a nail polish. Maybe my expectations were too high, it does photograph well, but do not be fooled like I was. So, as cool as the name is ('Chillato', agh it just makes me giggle) and as gorgeous as it looks in the bottle, 'Chillato' is not a winner in my book. I'm pretty loyal to Essie and I am disappointed by this one as it's such a funky, fun shade but alas, it just wasn't meant to be and will now rest at the back of my nail polish drawer. i always have a problem applying colours like these! they always turn out really gloopy on me, and like you say dull and lifeless.